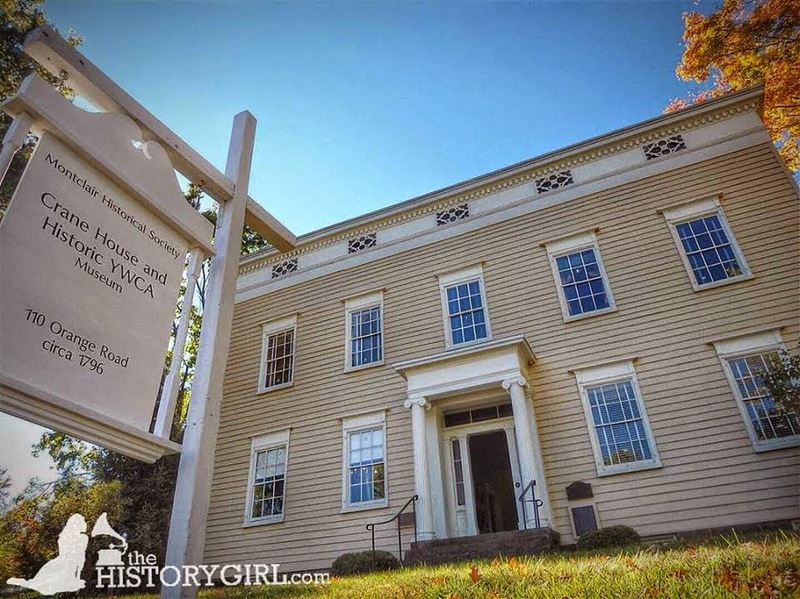 NJ Weekend Historical Happenings - 10/24/15 - 10/25/15 ~ The History Girl! It's the spookiest time of the year at the village! Ghost walks take place Friday and Saturday nights at 7:00 pm through October 24th. Guests will be led by lantern light through the shell-lined paths of the Village, stopping along the way at our restored historic buildings to speak of the mysterious spectral happenings reported by visitors and staff and revealed by paranormal investigation teams. The 45-minute walking tours begins at the Route 9 gatehouse. Tickets are $15. Advanced reservations recommended. Please call 609-898-2300, ext. 10 for more information or to reserve your ticket. This entertaining seasonal program at Historic Speedwell explores 19th century medical practices and the use of potions and elixirs to treat disease. Program runs from 5:00 - 7:00 pm. Admission: $5/adult, $4/senior (65+), $3/child (ages 4 -16). FREE for children under age 4 and Friends members, with a current membership card. Historic Speedwell is located 333 Speedwell Avenue, Morristown, NJ. For more information, call 973-285-6550 or visit www.morrisparks.net. 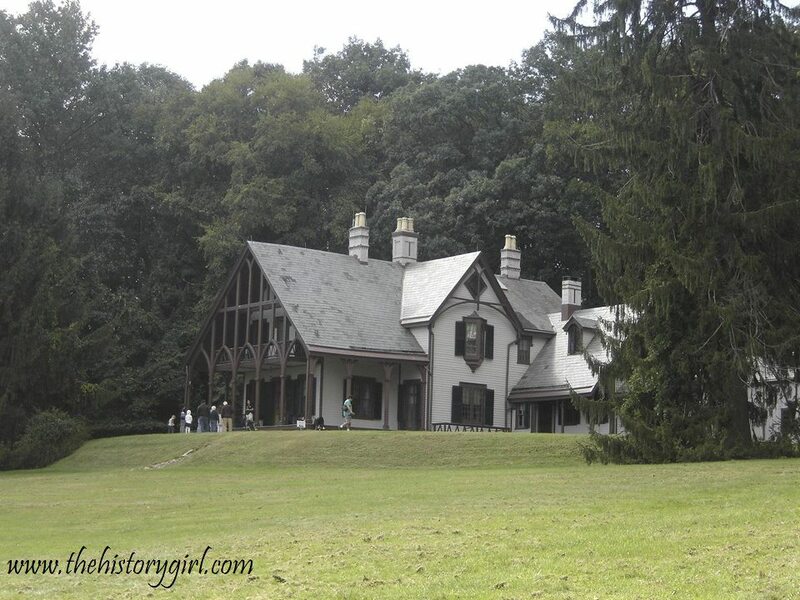 Ever wonder if ghosts roam the historic sites and buildings of central New Jersey? Join historian and performer Gordon Thomas Ward, Saturday at 1:30 p.m. at Bedminster's historic Jacobus Vanderveer House & Museum. Mr. Ward will tell ghostly tales of New Jersey's Revolutionary War haunts, and accompany his spine-chilling tales with songs on the guitar. A native of Bernardsville, Gordon Thomas Ward is an author, singer-songwriter, and presenter. He is the author of Life on the Shoulder: Rediscovery and Inspiration along the Lewis and Clark Trail, a book of original poetry entitled Windows, and a timeless meditation on the meaning of childhood's link to history entitled A Bit of Earth. Mr. Ward's many years of experience collecting forensic-based evidence to both dismiss and support claims of hauntings, especially in historic locations, led to his book Ghosts of Central Jersey. His most recently published book, Tracing Infinity: Bridging the Gap between Earth and Heaven, focuses on sensing and experiencing the divine in the world around us. The Jacobus Vanderveer House is located at 3055 River Road in Bedminster, NJ. The entrance to the house is via River Road Park. For directions and more information, call 908-396-6053 or visit www.jvanderveerhouse.org. Do you want to discover if Absecon Lighthouse is home to ghostly keepers that still watch over the shore in Atlantic City? Did the Jersey Devil pay a visit in 1909? Come visit the Absecon Lighthouse to hear the true ghost stories that prompted a visit from SyFy's Ghost Hunters! The New Jersey Researchers of Paranormal Evidence (NJ ROPE) will be on property to help you hunt for ghosts. Plus, hear their eerie recordings taken during a paranormal investigation. Guided tours of our grounds and tower will let you explore our rich history and experience some spooky tales. Beer, wine, and refreshments will be provided. Are you brave enough to tour Dr. Physick's house after dark? Strange things have been seen, heard and done here in the evening hours. Let your guide open a portal to the past and see what discoveries await. 7:00 - 9:00 pm. $15 adults, $12 for children (ages 3-12). Combine the tour with Ghosts of Cape May Trolley Ride and save $2. The Emlen Physick Estate is located at 1048 Washington Street, Cape May, NJ. Sponsored by the Mid-Atlantic Center for the Arts & Humanities (MAC). For more information, call 609-884-5404 or 800-275-4278 or visit www.capemaymac.org. Monmouth County Historical Association invites the public to enjoy Open Hearth Open House at the Covenhoven House on Saturday from 12:00 noon - 4:00 pm. Come and observe eighteenth-century style cooking over the blazing open hearth. Visitors will be invited to sample treats made from authentic “receipts” provided by the hearth cooks. First in war, first in peace, first...on the dance floor?! That's right! America's first president and Rockingham's most famous resident, George Washington, was well known for his enthusiasm for dancing. To learn more about His Excellency's favorite social diversion, come to Rockingham on Saturday at 3:00 p.m. for An Agreeable and Innocent Amusement: An 18th-Century Dancing Primer at Rockingham. This program will introduce you to country dance by way of talk/presentation and then instruction in several simple period dances. Please note this program is not a public ball, nor is it aimed at advanced country dancers. Prior experience is not required. Period dress/long skirts are encouraged, but not required; comfortable shoes suggested. This event will be held in the Rockingham barn, rain or shine, and there will be light refreshments served. Pre-registration is recommended as occupancy is limited. Individuals or couples are welcome; ages 12 years and up only, please! The event is free; however, donations are always welcome! Rockingham is located at 84 Laurel Avenue (Rte. 603) in Franklin Township, 1 mile north of Rte. 27 in Kingston, and 1 mile south of Rte. 518 in Rocky Hill. For more information and to register, call 609-683-7132 or visit www.rockingham.net. On Saturday from 6:45 - 7:45 pm and again from 8:15 - 9:15 pm, members of New Jersey Paranormal will describe the results of investigations they've conducted in the Parsonage, 909 Caldwell Avenue, Union, NJ. Then they'll lead audience members on their own ghost-hunting expedition through the house. lead a tour through the building, during which visitors may take pictures with their own digital devices to potentially capture orbs. To purchase tickets at $10 each, please call 908-591-4377. Leave a message, and your call will be returned promptly. Proceeds will benefit the Parsonage, which is listed on the National and State Registers of Historic Places. To learn more about New Jersey Paranormal, please visit www.newjerseyparanormal.com. For more information about the Parsonage, the history of Union, or the Union Township Historical Society, visit www.unionhistory.org and www.uniontwphistoricalsociety.webs.com. The Brick Township Historical Society will sponsor a free Civil War presentation at its Havens Homestead Museum property, 521 Herbertsville Road in Brick, NJ on Saturday at 11:00 am featuring members Stuart and Judi Buncher of Tinton Falls portraying actual people involved in the Civil War. They will be in costume and will portray Corporal Andrew Tomlin of the US Marines and Sister Veronica, a nurse tending to soldiers on the Red Rover, a floating hospital ship. For more information, call 732-785-2500 or visit www.bricktwphistoricalsociety.com. Join Morristown National Historical Park for a weekend of fall-related 18th century activities at Jockey Hollow on Saturday and Sunday! Visit the 2nd NJ regiment's camp to see demonstrations of drilling, musket cleaning, and cooking. Have some old-fashioned fun with 18th century games played by soldiers and civilians alike! An opportunity for kids to learn the importance of drilling and marching and practice what it takes to be a soldier. Learn what the Wick's did with their 1,000 apple trees during this apple cider press demonstration. Fall is the season of the apple! Join us for a demonstration in the art of making apple butter. The garden hops is ready for harvesting. Join this discussion on hops and brewing in Colonial America. Jockey Hollow is located within Morristown National Historical Park, Morristown, NJ. Cost: Free. For more information, call 973-543-4030 or visit http://www.nps.gov/morr. The East Amwell Historical Society will host a free open house at the Clawson House on Saturday and Sunday from 12:00 noon - 3:00 pm. Everyone is invited to check out the historic Federal-style home that was built around 1810, and see the house drawings, landscape plan, and old photographs of the house. Members of EAHS will offer tours of the house and discuss its past. Refreshments will be served and donations will be accepted. The house is located at 1050 Old York Road in East Amwell, NJ and fronts Marion F. Clawson Park. Harold and Marion Clawson owned the farm and house for decades. In 1999, the township purchased the property to establish a park, but the house sat boarded up for several years. Renovations on the home are still in progress, but the herculean efforts of volunteers have gotten the house in a condition where it can be opened to the public for this event, said East Amwell Historical Society President Jim Davidson. Stage one, completed earlier this summer, included all new sheathing, siding, windows, trim and exterior doors to the building. Stage two, which should begin this fall, will feature a total basement renovation that includes a new floor and staircase to the first floor, pointing of the stone foundation, and a new 200-amp electric service. The third stage is a one-story back entrance, a kitchen and bath. Plans for this stage are currently in development. The final stage is to finish renovating the home’s interior. Once renovations are completed, the building will serve several purposes, including: the headquarters of the East Amwell Historical Society, the home of the township’s museum and a place to store and display items from the Edward Quick collection of East Amwell memorabilia and artifacts. The collection is currently packed away in the basement of the township’s Municipal Building. The East Amwell Historical Society is actively soliciting grants and donations to help with the restoration. Rutgers Landscaping recently created a landscape design for the property. The Hoboken Historical Museum is pleased to host one of Hoboken's most-anticipated fall events, the Annual Hoboken House Tour, on Sunday, Oct. 25, from 10:00 am - 4:00 pm. This year's tour features 7 homes-Victorian brownstones and brand-new condos, as well as converted factories and churches - plus three special bonus historic sites, graciously opened to visitors by Museum supporters to help us raise funds. Locations are a secret until the day of the tour, but each year offers a fresh selection. A recently renovated home that was once a marzipan factory on downtown Garden St.
A home filled with contemporary art, plus loads of historic details and antiques. Tickets are $30 in advance; $40 on the day of the tour ($30 for Museum members). Purchase tickets online at http://bit.ly/HobokenHouseTour15. The self-guided tour takes about two to three hours on foot. Houses open at 10:00 am and close at 4:00 pm. Homes may be visited in any order. A map will be included in the House Tour booklet, available only on the day of the tour at one of two starting points: The Hoboken Historical Museum, 1301 Hudson Street, or the Fire Department Museum, 213 Bloomfield Street. Ticket sales are limited, and tours have sold out in past years. No tickets will be sold after 2:00 pm on October 25. Proceeds from ticket sales help support the Museum's exhibitions and operations. 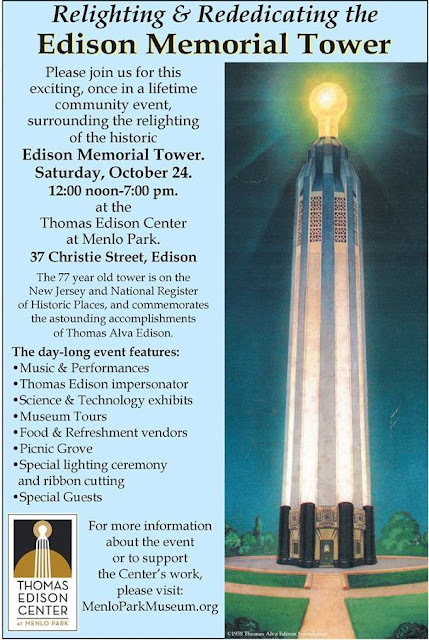 For more information, visit https://www.hobokenmuseum.org. Join Durand-Hedden on Sunday for an afternoon of dance, history, and American Indian culture. The Thunderbird American Indian Dancers will perform traditional American Indian dance and music from tribal groups found throughout the United States including the Robin Dance, Fish Dance, and Smoke Dance of the Iroquois; the Contest Dance of the Winnebago; the Fancy Shawl Dance; the Old Style Traditional Warrior Dance of the Kiowa and the Hoop Dance. Wonderfully presented with descriptive narration, Thunderbird Dancers’ programs are among the most compelling anywhere. There will also be time for questions and for photographs. Doors open at 1:00 pm; performance begins at 2:00 pm. The location will be on the grounds of Grasmere Park behind the Durand-Hedden House. The event is free. Donations are welcome. You can also stroll through the Maplewood Garden Club Herb Garden, full to the brim with fascinating, useful, and decorative herbs. And check out the Country Store’s historic-themed treasures: early American games, books, and toys; facsimile documents; quill pens and ink; historic cook books; cookie molds; tin lanterns, reproductive decorative items and ceramics; and more, such as the hard-to-find original Doors of Maplewood poster, Smile: A Pictorial History of Olympic Park, 1887-1965, and the new acid-free reproduction of the charming 1931 Map of Maplewood. Durand-Hedden House is dedicated to telling the history of the development of Maplewood, New Jersey and the surrounding area in new and engaging ways. It is located in Grasmere Park at 523 Ridgewood Road in Maplewood, New Jersey. For more information, call 973-763-7712, visit www.durandhedden.org. Visit the Crane-Phillips House Museum on Sunday from 2:00 - 4:00 pm for a "Halloween Storytime and Craft." So stop by the museum after the township's Halloween Parade to listen to a story and make a Halloween craft. This craft is appropriate for children 6 years of age or older. Admission is free, but donations are greatly appreciated. Space is limited so reservations are required. To reserve your seat, please call the historical society's office at 908-276-0082 or e-mail cranfordhistoricalsociety@verizon.net. The Whitesbog Preservation Trust will host its 1920s Cranberry Harvest Living History Tours and Antiques Show on Sunday. Beginning at 10:00 am, visitors will be able shop dozens of antique dealers for vintage tools, toys, postcards, bottles, and turn-of-the-century collectible treasures. Free admission and parking. At 1:00 pm, Enjoy the reenactment of a 1920’s cranberry harvest and learn about Whitesbog’s founder and legendary cranberry grower, J.J. White, his daughter and blueberry innovator, Elizabeth C. White, and other residents of Whitesbog from scientists to berry pickers. Docents in period dress will guide you through the Village’s many museums and historic buildings. * Meet Whitesbog’s founder and famed cranberry grower, J. J. White, and harvest your own cranberry’s with an authentic 1920s cranberry scoop. * Meet Elizabeth Coleman White and tour her historic home and office at Suningive. * Learn about a typical villager’s day in the Workers’ Cottage. * Meet Charles Beckwith and visit the 1st Rutgers’ Experimental Research Substation (circa 1920). * Visit the Paymaster’s Shed and trade your cranberries in for a 1920s pickers voucher - then spend it in the General Store. * Enjoy a wagon ride out into the bogs and old time bluegrass by the Blueberry Jam Band. Historic Whitesbog Village is located on County Route 530 at mile marker 13, just 1.3 miles Northwest of Route 70, and a few miles southeast of Browns Mills, NJ. 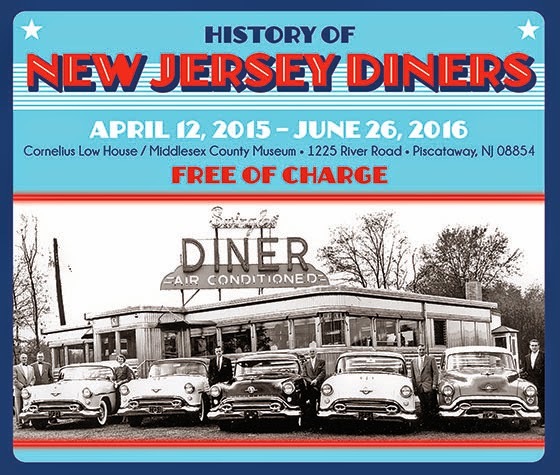 GPS address: 120 North Whitesbog Road, Browns Mills, NJ 08015. For more information, call 609-893-4646 or visit www.whitesbog.org. 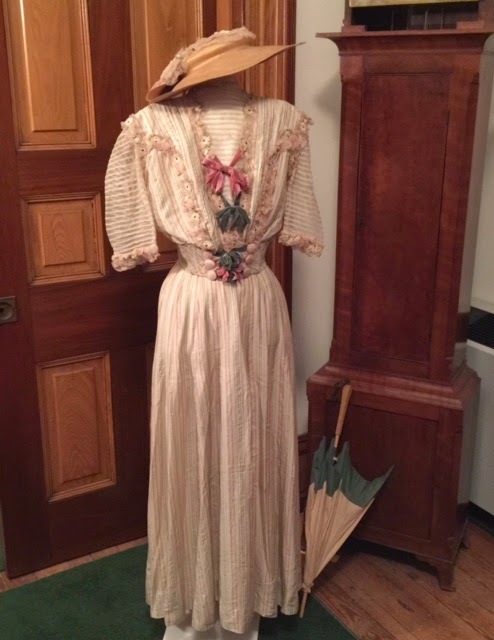 On Sunday from 12:30 - 5:00 pm, Explore history in a new way as you travel through the Vail House using hands-on artifacts while on a guided tour with detailed descriptions and engaging discussions. Through this tactile experience, observe and discover Historic Speedwell’s history in a unique way. Admission: $5/adult, $4/senior (65+), $3/child (ages 4 -16). FREE for children under age 4 and Friends members, with a current membership card. Historic Speedwell is located 333 Speedwell Avenue, Morristown, NJ. For more information, call 973-285-6550 or visit www.morrisparks.net. The role that women played in the development of Mountainside Nursing School teaches us a great deal about the culture and community of Progressive Era Montclair. While nursing has historically been a profession dominated by women, the rise of the modern hospital in the late-nineteenth-century transformed the practice of nursing, and with it, the role that women nurses played in the care of their patients. Mountainside Nursing School offers a lens on this transformation, revealing the complex ways in which scientific medicine elevated the prestige of nursing by demanding that nurses acquire a new skill set and knowledge base, but also reinforced the professional hierarchy between nurses and doctors. At the same time, the early history of Mountainside shows how Progressive women claimed leadership roles in developing health care resources for the Montclair, Glen Ridge and Bloomfield communities. This lecture will examine how the women nurses, hospital administrators and board members who created the Mountainside Nursing School contributed to the development of the health infrastructure of the Montclair area, and how Mountainside contributed to the empowerment of local women. Vanessa Burrows is an historian of medicine and public health whose research focuses on the political economy of health and medical research, twentieth century U.S. health policy and medical civil rights. She received her Ph.D. in History from the CUNY Graduate Center, and teaches U.S. History at Hunter College. She is currently working on a documentary film about how Medicare was used to desegregate U.S. hospitals. She lives in Montclair with her husband and two daughters. Historian Vanessa Burrows discusses the Hackensack UMC Mountainside School of Nursing in the larger context of how the nursing profession empowered women in the Progressive Era and beyond. Vanessa Burrows holds a PhD from the Graduate Center of the City University of NY. Programs coincides with the exhibition A Retrospective of the Mountainside School of Nursing on display at the Crane House and Historic YWCA on Sundays from 1:00 - 4:00 pm. Suggested donation: $5. The Crane House and Historic YWCA is located at 108 Orange Road, Montclair, NJ. For more information, call 973-744-1796, e-mail mail@montclairhistorical.org, or visit www.montclairhistorical.org. Mr. Lefkowitz has authored many books over the years and is an engaging speaker! His latest work, Benedict Arnold in the Company of Heroes, is the story of the lives of the American patriots who served under Arnold and how he influenced them. A speaker for the New Jersey Council for the Humanities, the National Park Service, Fraunces Tavern Museum, and the annual meeting of the Arnold Expedition Historical Society, Mr. Lefkowitz has also spoken for the Washington Campground Association, appeared several times on New Jersey Public Television speaking about the Revolutionary War, and more! Mr. Lefkowitz is a member of the Board of Governors of the American Revolution round Table. He has a BA from New York University, MBA from Long Island University. Mr. Lefkowitz is currently the owner of a sales-marketing and consulting firm specializing in architectural hardware. Admission is free and the presnetation begins at 2:00 pm and ends at 4:00 pm. It will be held at the headquarters of the Heritage Trail Association, the Van Horne House, 941 East Main Street, Bridgewater, NJ.